Jesus points out this truth by looking at three elements that are initially hidden to even your closest of friends: your attitude, thoughts, and actions. In so doing, Jesus communicates that each of these matters to God. Having a right attitude in the worst of circumstances glorifies God (Matt. 5:3-10). Jesus begins the Sermon on the Mount with what we have traditionally known as the beatitudes. The Latin word beatus means to be blessed or happy. It is the basis for the word beatitude. Nine times Jesus uses this word in his introduction to his sermon on the mount (Matt. 5-7). I’ve taken the liberty to replace blessed with happy in the text. This is God’s definition of a right attitude. This is a passage that starts hard and only gets harder. You may be crying in verse 4, but you’re being reviled and persecuted in verses 11 and 12. Either way your attitude is to be one of rejoicing. That seems impossible, and that is precisely the point. If the focus of your happiness is only your circumstances, then you will always be trying to change or alter your circumstances before you change your attitude – such happiness will always be elusive. But if the focus of your attention is hungering and thirsting after God (5:6), then your attitude is untouched by your circumstances. Each circumstance (whether easy of difficult) becomes an additional opportunity to grow in our trust in the Lord and an opportunity to rejoice in whatever circumstances have become your lot. This is why our attitude matters to God. We can choose to have a joyful attitude even when it requires the submission of our personal desires. That’s why the writer of Hebrews told us that “Jesus, who for the joy set before him, endured the cross…” (Heb. 12:2). 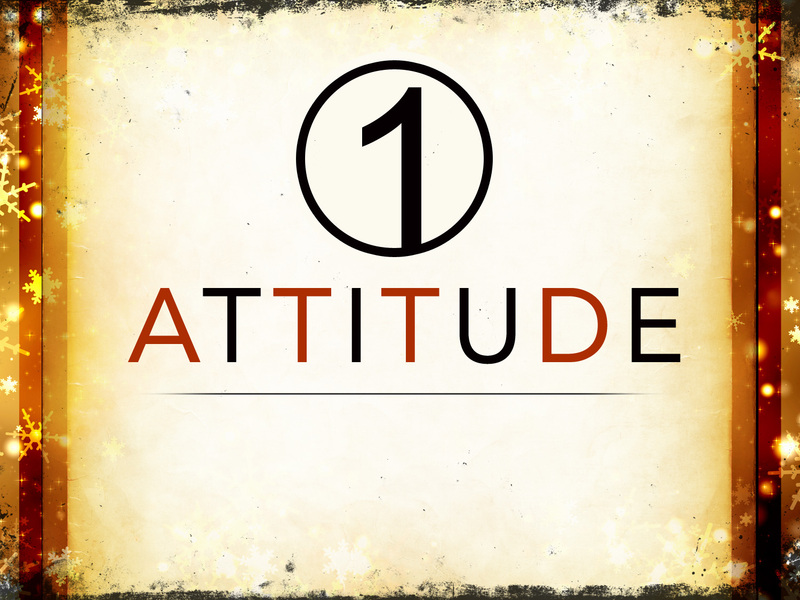 Jesus understood that having a right attitude in the worst of circumstances glorifies God. The other two internal issues that Jesus addresses we will follow-up on later this week. Your thoughts: Pursuing wrong thoughts brings disastrous consequences (5:22, 28). Your motives: Doing the right thing for the wrong reason reveals a self-centered heart (6:2, 5, 16). This entry was posted in Trials and tagged attitude, beatitudes, gratitude attitude, Matthew 5-7.